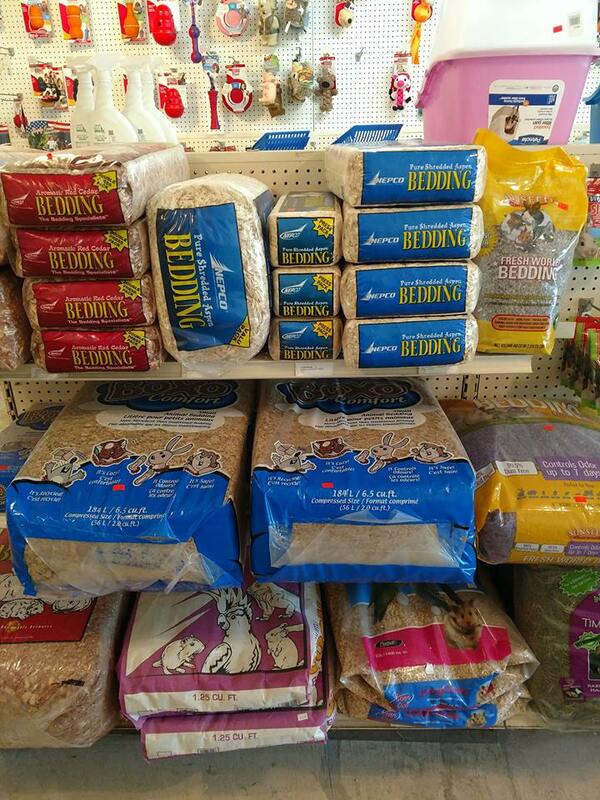 They carry their own line of birdseeds as well as other, feeders, chicken feed with supplies, pine shavings, straw, bedding for small pets, crates & carriers, dog treats, toys & food, cat food, toys & litter. They also carry feed for horses, pigs, sheep, goats, alpaca, rabbits, guinea pigs, as well as chick starter, scratch, grit, oyster shell, cracked corn, whloe corn and all stock. If you need a speciality item, then can order upon request. To keep your pet looking beautiful, they sell nail clippers, slicker brushes, shedding blade / rakes, flea combs & several great shampoos. Stop in and pick up a treat for your pet, and take a look around. You will be surprised at the variety and selection of items! Seasonal items include grass, lime & fertilizer for your garden. Practical items like fruit fly traps, rodent eradication, and sprays. They are also home to a bottle redemption center. Bring your NYS returnable cans & bottles...we are open Tuesday - Friday from 10am - 5pm & Saturday from 10am - 4:30pm.